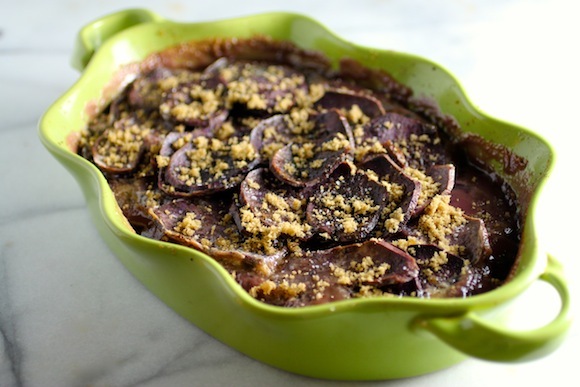 Holiday Spiced Purple Sweet Potatoes Do you make the same dishes every Thanksgiving? Over here, some dishes appear every year of course – like turkey, stuffing, mashed potatoes, and gravy. But the vegetables vary, so does the soup. I also make my Holiday Spiced Sweet Potatoes each year, but this time they are getting a … Continue reading "Holiday Spiced Purple Sweet Potatoes"